FREE Pizza Hut Stuffed Pizza Rollers! You are here: Home / restaurant deals / FREE Pizza Hut Stuffed Pizza Rollers! Craving pizza? 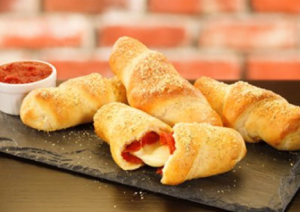 Sign up for the Pizza Hut Lovers’ newsletters and you’ll get FREE Pizza Hut Stuffed Pizza rollers with your next online order! I haven’t tried these yet, but they look awesome! 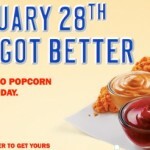 Sonic Jumbo Popcorn Chicken 1/2 price all day today! 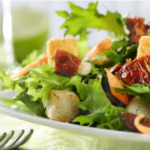 Restaurant Round-Up: the top printable restaurant deals and coupons! 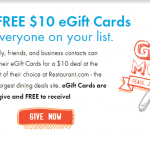 Feed it Forward: send FREE $10 Restaurant.com gift cards to your Friends! 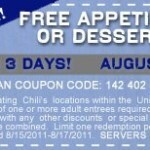 Chili’s: Free appetizer or dessert 8/15-8/17!